CHRISTMAS PACKET!! 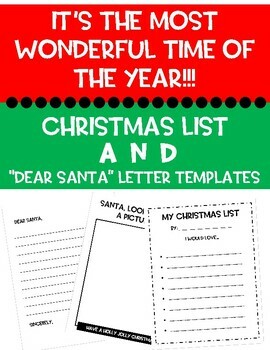 DEAR SANTA LETTERS & CHRISTMAS LIST TEMPLATE! 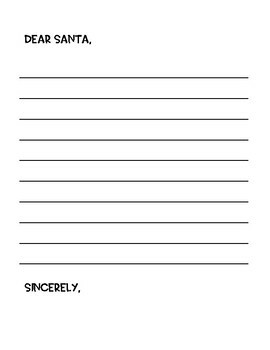 -A "Dear Santa" letter template that is front and back. 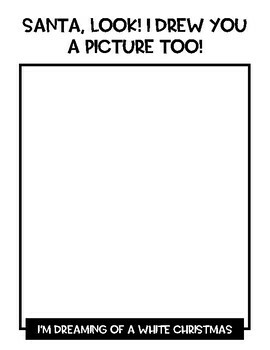 The front page is for students to write a letter out and the back side is for a picture. There are four different options for the back side of your student's letter. The captions change on all four picture templates so you or the kids can choose which they like best! -A "Christmas List" template for students to complete!